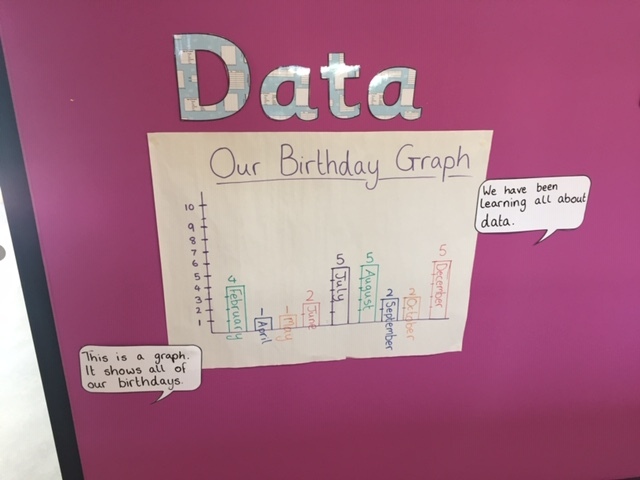 In our Infant Classes we have been focusing data. We have been working on graphing and discussing our graphs. Ms. Keane’s Junior Infants read a lovely story called ‘The Smartest Giant in Town’. They discussed different aspects of the book and sequenced the story. 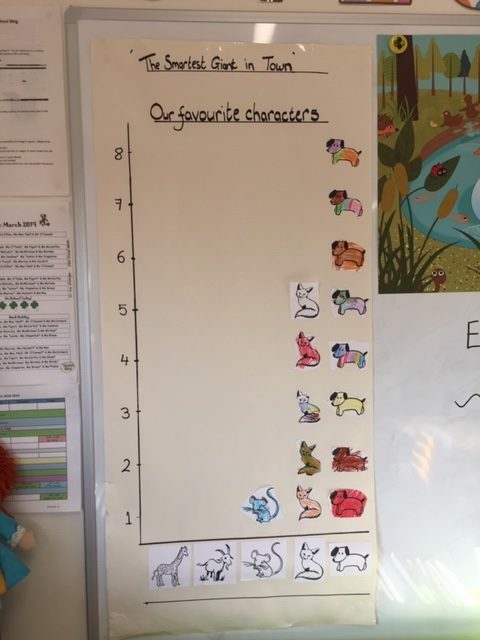 When discussing their favourite character many of the boys and girls didn’t agree on the same character so Ms. Keane decided to make a graph to show how many votes each of the different characters received. As you can see the favourite character was the dog with 8 votes. The least favourite character was the goat and the giraffe. They had a great time learning new vocabulary like more and less. 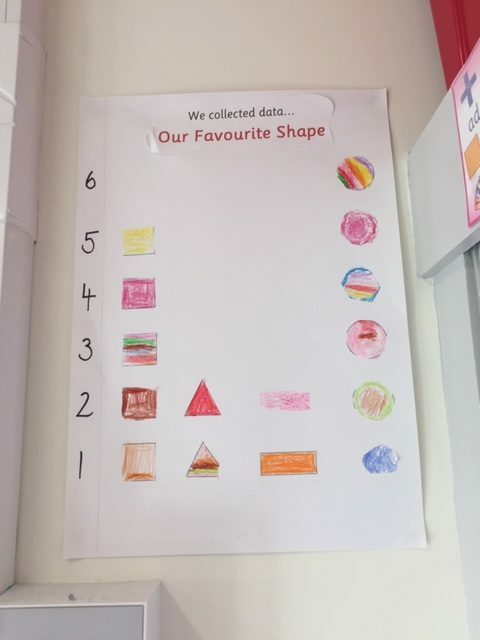 Junior Infants also collected data on their favourite shapes. As you can see the circle is the most popular and the rectangle is the least popular. Senior Infants collected data on their birthdays. They have been learning all about data and decided to make their own graph to show who had birthdays in which month! They have learnt lots of new vocabulary like: most, least, as many as, more and less.